"It gets people better and gets them better faster than anything else I've done. Redcord is an indispensable tool"
Getting you back to pre-injury condition or better quickly. Improve performance. Maintain range of motion. Move safer, smarter, stronger. REDCORD Suspension therapy can improve your mind -body connection within a pain free environment. Our forms are available online so new patients and referring providers can conveniently complete them before the first visit. Dr Nicacio joined our team in May 2018. He has 28 years experience as physical therapist in a variety of setting including neurological and orthopedic outpatient, various acute care services, inpatient and post acute rehabilitation, as well as pediatrics. John is a firm believer in the rehabilitative process. He is passionate about helping people maximize their potential and reach their rehabilitative goals. John received his Bachelor of Science degree in physical therapy from Eastern Washington University in 1990. John went back to complete his Doctor of Physical degree from the College of St. Scholastica In 2014. John appreciates sports, especially wrestling, and football. He stays active with weight training and physical fitness exercises in general. John enjoys traveling with his wife and spending time with his son and daughter. 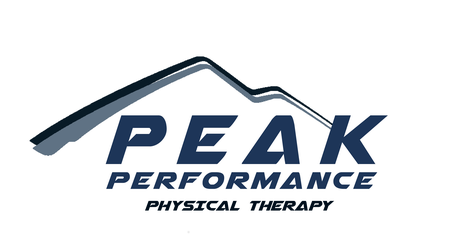 "There is no Physical Therapy business like this in the Tri-Cities. There is no Physical Therapy business like this on this side of the mountain. What I'm saying is they offer a unique approach to Physical Therapy that caters to everyone. You seriously need to go in and check it out and see for yourself! Are you an athlete? Do you want to isolate your muscles and find your weakest muscle/muscle group? Dr. Drew Carrell and Kirsten Shockman can help you with this no problem. Both are extremely knowledgeable and friendly. Are you suffering from a recent or past injury? They can help you recover and get back to a healthier lifestyle where you are not limited in your day-to-day activities! Stop in and say hi and Cynthia the office manager can get you all setup!"